A set of vector game asset / graphic / sprite / art contains ground tiles and several items / objects / decorations, used for creating platformer games. 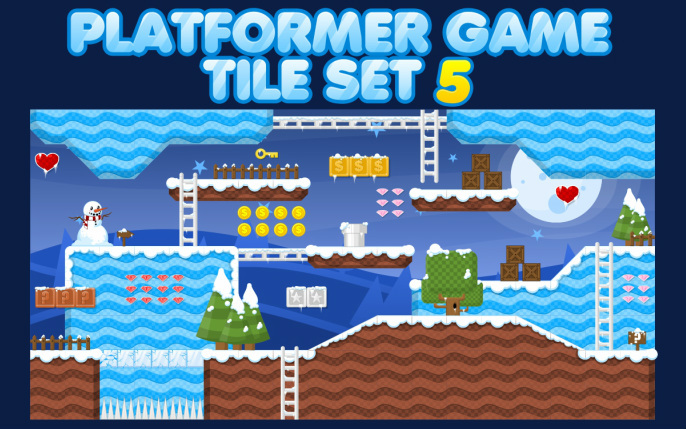 Suitable for platformer games with winter, ice, snow, arctic, christmas, holiday, & santa themes. - Now it’s optimized for Tiled Map Editor with 64×64 px tiles.